When Dad inherits Outhwaite House, the whole family moves from their little farmhouse in rural Australia to the big, creaky old house in London. Dad remembers this house, but it’s new for Mum, teenage Else, Clancy, Oscar and Finn (the twins) and little Sibbi. This is a house with secrets, including an attic door that all agree ‘must never be opened’. ‘The Endsister’ is told in multiple viewpoints, including that of the mysterious duo, Almost Annie and Hardly Alice. Some members of the family adjust easily to their new home, but not all. Else has freedom but isn’t quite sure what to do with it, and little Sibbi seems unable to settle at all. There’s something very unsettling about this old house. It is no small challenge to write a story from multiple points of view, particularly when the characters range widely in age. But this mystery is in skilled hands, and readers will be drawn to this family and their individual adjustments to living in this new world. 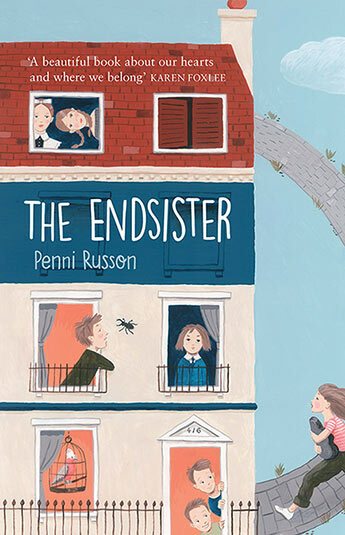 ‘The Endsister’ is a compelling read ideal for young independent readers who enjoy a shivery tale.